For one thing, Webb will need to introduce not one, not two, but three major characters into the lives of Peter Parker and Gwendolyn Stacy. 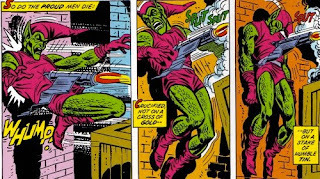 Obviously, they have to introduce the Green Goblin, Spider-Man's greatest enemy — or at least he was Spider-Man's original greatest enemy. 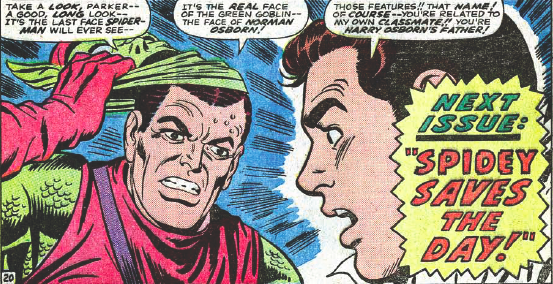 This is partly because the Goblin is the only one who knows who Spider-Man truly is, but for my money, truly because there's a personal connection between Peter Parker and Norman Osborn. That connection is Harry Osborn, Norman's son and Peter's best friend (and sometime roommate). Without it, the Norman/Peter connection is hollow — sure, Norman knows who Peter is (and in the movie universe, how does that make him special, anyway? Everyone finds out who the heroes are in these things. ), but they may as well be strangers to each other. No, for the Norman/Peter antagonism to work, Harry has to be involved. So you have to take the time to flesh him out as a character. Harry also becomes the Green Goblin after his dad dies. too long and convoluted for the movies. Let's move on. 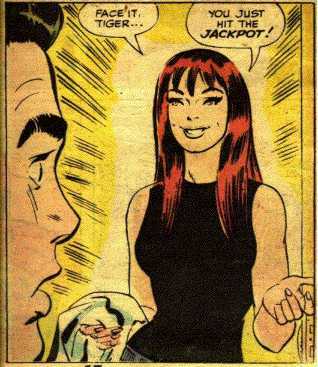 Then there's Mary Jane Watson, the party girl that everyone falls for at one point or another. 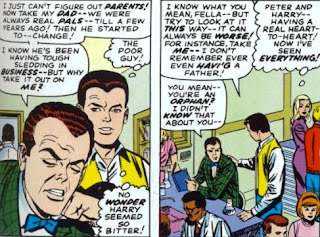 Mary Jane commands the room just by walking in, even from a superhero-in-disguise like Peter Parker, a rich kid like Harry Osborn, and a big man on campus like Flash Thompson. And yes, she commands the room from Gwen. How is Mary Jane Watson important to this story? In two ways. 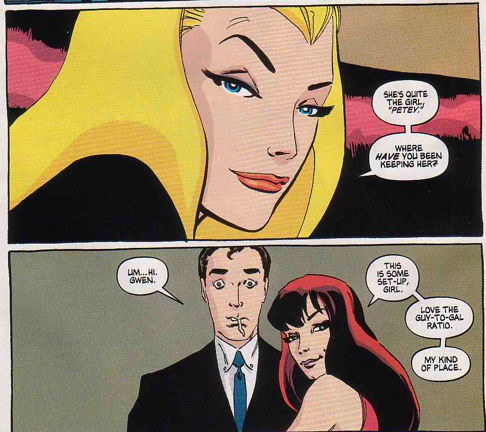 First, she provides friction for the couple (Peter does pick Gwen — in fact, it's not even a choice — but Gwen's got a bit of a jealous streak). Now that's fine if they don't put that in, or if they only hint at it without exploring it much. But the other way is that Mary Jane is the light at the end of the tunnel for poor Peter Parker. When Gwen dies, she grows up, quits that whole "Life is a party" schtick (not totally, but enough), and is there for Peter as he mourns. Afterwards she becomes Peter's most enduring girlfriend — at one point, his wife/live-in long-term committed girlfriend (depending on which version you believe, or what year the comic you're reading is) — if not his most important (the debate between Gwen fans and MJ fans rage on). So you not only need to build MJ up as a character, but you also have to give her and Peter ample time to fall in love, and on Peter's part, not while Gwen is alive, because then he'd look like an unfaithful boyfriend and the audience will hate him. And let's just get this out of the way. Our final constraint is Emma Stone. She was a big part of why this movie's achieved the success it has, so on a commercial level, it would make sense to keep her around until the third movie. That doesn't really leave much room for Mary Jane, huh? It almost seems mandatory to leave out one of the things I said they'd have to put in, but what would we leave out? I'll tell you one thing I'm not leaving out, and that's Harry Osborn. 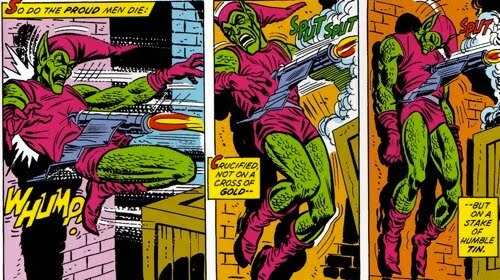 He's too important to the Spidey/Goblin dynamic, and he needs to be fleshed out as a full character. That means As for the other things? Well, let's get to some scenarios. Christopher Nolan's Batman movies also involve the death of a significant other. Rachel Dawes (played by Katie Holmes in Batman Begins and Maggie Gyllenhaal in The Dark Knight) was a significant part of both movies (and was the worst part of them next to that goddamn Batsuit), and died in The Dark Knight. This next movie, The Dark Knight Rises, introduces the "bad girl" into Batman's life: Selina Kyle, better known as Catwoman (played by Anne Hathaway). Applying this to Webb's series, we would see Gwen die in the second, and then spend the third one on Peter and Mary Jane. We wouldn't necessarily introduce Mary Jane after Gwen dies. 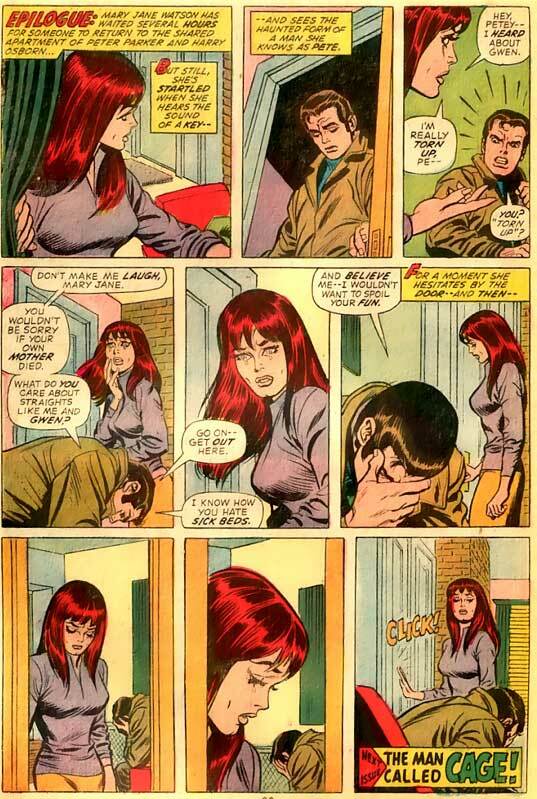 All right, that gives us more room to develop Mary Jane as a romance for Peter, but not enough room for her to be developed as her own character. Also, it goes against our final constraint (Emma Stone has to stay), which may be the one constraint we can't fight against, considering we're talking business here, and her leaving a movie too early may stop people from coming back for the third one. When George Lucas did The Empire Strikes Back, the second in his Star Wars series, he decided to end it on a cliffhanger — Luke's hand was cut off, Princess Leia was captured, Han Solo was frozen in a block of ice — and left fans screaming. 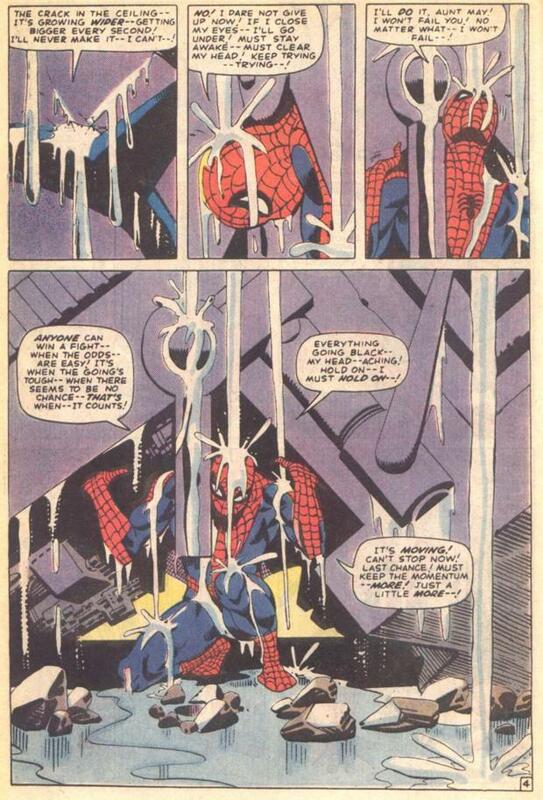 So this scenario would see MJ being introduced in the second one, and would end with the Green Goblin knocking Gwen off the bridge, or maybe when Spider-Man catches her or inadvertently breaks her neck, or maybe when he's already caught her and realized she's died. Let's say it's Goblin pushing Gwen off the bridge. Hm, no. Wouldn't work. It's an adaptation, so the moviegoers could just Google that and know what happens. And when they find out she dies, maybe it would be too much and it would actually hurt the movie. It all depends on how much more Emma Stone is credited for the next movie.If she ends up sucking in it, maybe the audience will be glad she dies. But this scenario does have the advantage over Scenario 1 in that it would keep Gwen in the next movie rather easily, as they can pepper that with flashbacks. Killing her in the second one and having her in flashbacks in the third would be too forced. 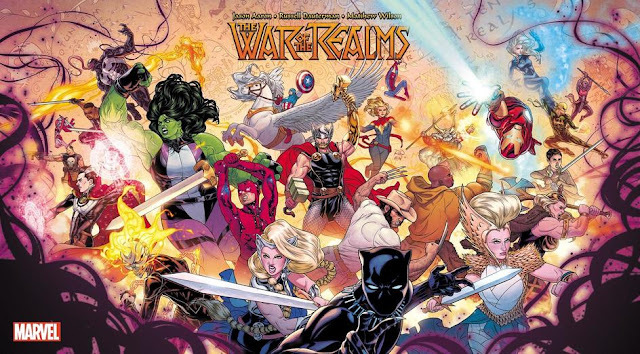 Maybe to ensure Emma would get more screentime, part 2 would just end with the birth of the Goblin and him going after Gwen, and then the credits roll. But I don't see that happening. As regular Cube reader JV said to me the other day, riots have been known to start for smaller reasons. And as I've said, there's no point in doing an easily Internet-searchable cliffhanger. So let's go on to my preferred scenario, Scenario 3. Look, we've gotten rid of the Emma Stone constraint in Scenario 1, tried to fit things in into Scenario 2, and none of them worked, so let's get rid of one last constraint, because by gum, I am not getting rid of Harry Osborn. That one constraint is the development of Mary Jane and Peter's relationship. I think we can get rid of that. For one thing, we saw a Mary Jane in the Raimi movies. Not the Mary Jane, but a Mary Jane. We don't need the next Mary Jane Watson to be unnecessarily compared to Kirsten Dunst, but she will. We don't need a new Pete/MJ romance to be unnecessarily compared to Maguire/Dunst either. But I don't hate Mary Jane. In fact, I think Mary Jane is a great character. She herself has a character arc. As I mentioned earlier, Mary Jane is the life of the party until Gwen dies — when she actually shows her other, softer side. 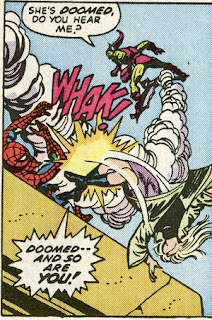 This is the ending to the story of Gwen's death. Look, these scans don't do it justice. You're only getting the end of the story. There's no way to describe the impact. In fact, when I first read this story back in 1998, devoid of any of the buildup beforehand (it was both my first Gwen Stacy story and my first Mary Jane Watson story where she's not Pete's girl), it didn't even really impact me. 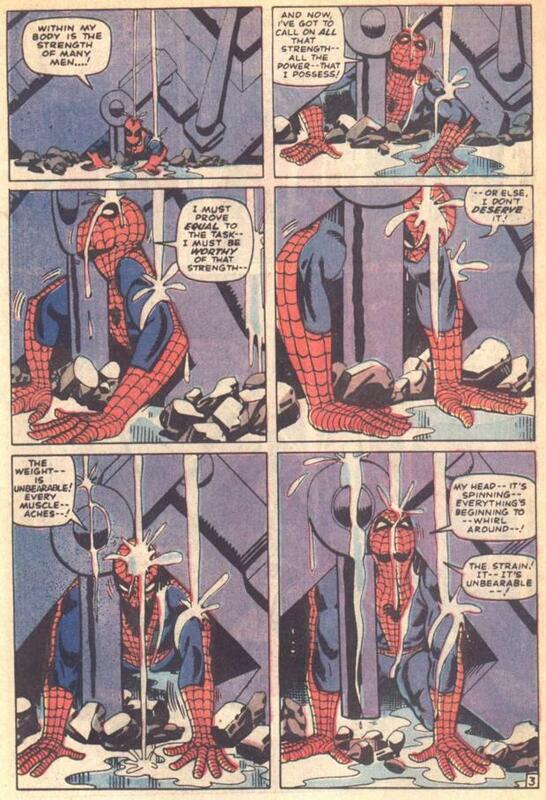 But then I started reading the earlier stuff, and a conversation I had with Ty Templeton on Facebook last year convinced me of one thing: that if someone asked me, "Hey, I wanna read Spider-Man from the very beginning, but I want to end at some point, so where should I end? ", that would be it. 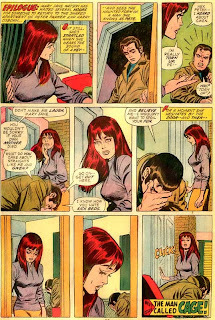 Mary Jane closing the door. Moviegoers aren't gonna have the problem I originally did, which is just reading the end of the story; they're actually going to see the full story. The impact would be there. It's the perfect way to end the trilogy: Peter Parker loses his first love, gets revenge empty though it were, and feels alone — except he's not. There is hope; there is light at the end of the tunnel. Look, he may never get over Gwen, and in this scenario, because it'd be open-ended, it'd be up to the audience what happens between Peter and Mary Jane. Those who believe that Peter learns to love again can assume that something eventually happens between the two. Those who believe that he can't ever do better than Gwen and don't like MJ can assume that they remain very good friends. The point is that Peter may think he's alone, but he's not. There is hope. He's not alone — and since in this universe, he was friends with Gwen when Uncle Ben died, he never actually was. 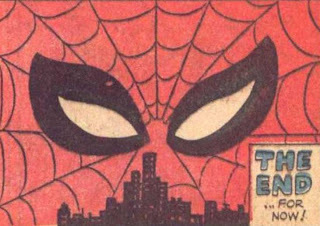 The loner persona is an important aspect of Peter Parker, and that's part of the point: he feels alone. But he's not. You should hear how people who read this story talk about it and its ending. 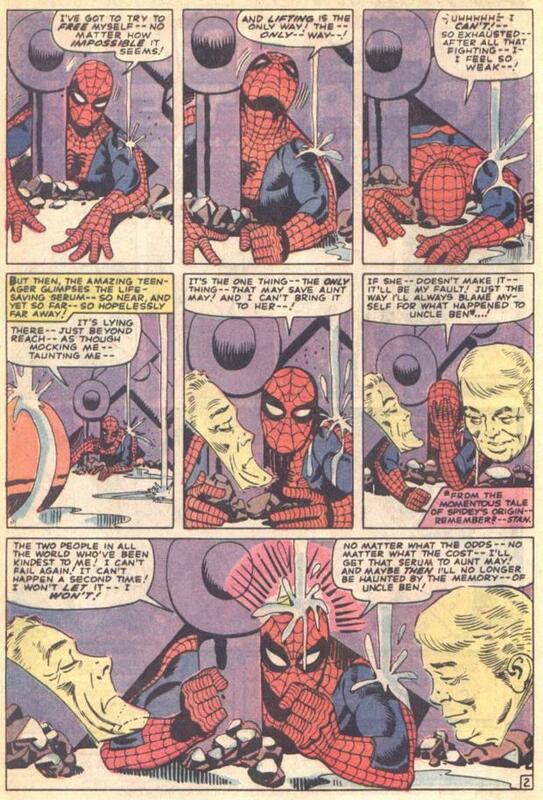 You should see how many lists of great Spider-Man stories this gets into, and how high it gets. I can't explain it. It's emotional, it's impactful, and it's how I think the trilogy should end. Sure, it's not Hollywood enough; it's not a shot of Spider-Man swinging over the city, but it would stay. It would linger. Viewers will remember it. And heck, if you want to make it "Hollywood," just zoom out after MJ closes the door and cut to a classic Spider-Man ending: the shot of his face over the skyline of the city. That's how I'd end it anyway. You know, unless Andrew Garfield and Emma Stone break up before then. Then you better kill her in Part 2. Just to get these two things off my chest, if Webb's killing the Green Goblin off this time, can he please stick to the way it happened in the comics? I always thought it was gratuitous and comedic the way Raimi did it, with Norman getting impaled in the crotch instead of the chest. And also, if somewhere in the next two movies, the classic scene from "The Master Planner Saga" happens, I will mark out like a seven-year-old girl at a Winx concert. I did my own piece about what has to happen in the next two Spider-Man movies. I don't think that it's going to be a trilogy in the way Nolan's Batman is a trilogy. I'm pretty sure they're hoping to make Amazing Spider-Man 4 in a few years. So there may not be an open-ended conclusion to Amazing Spider-Man 3 as you're going to see what happens next to the characters. I'd imagine they want to resolve the currently unresolved questions. 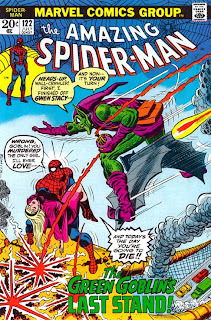 Spider-Man will defeat the Green Goblin. He'll learn the mysteries about his parents. He'll catch Uncle Ben's killer. 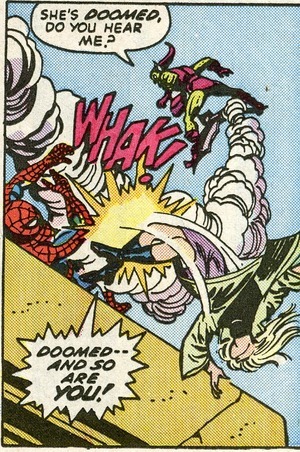 And we'll find out whether Gwen Stacy survives or dies. There are a few ways to introduce Mary Jane while Gwen's around, although I suspect Marvel wouldn't want to do it in the same film in which Gwen is killed off. Ah fan fiction... Heheh. Seriously though, all those scenarios are plausible. Though I do hope Webb (assuming Sony keeps him, rumor has it, the execs and Webb did not get along) is able to get in the friendships formed with Harry, Flash, Gwen and MJ in the sequel only for it to fall apart by the end of the movie or in the third installment.